While re-routing traffic at the scene, a vehicle struck a Barron County squad car. 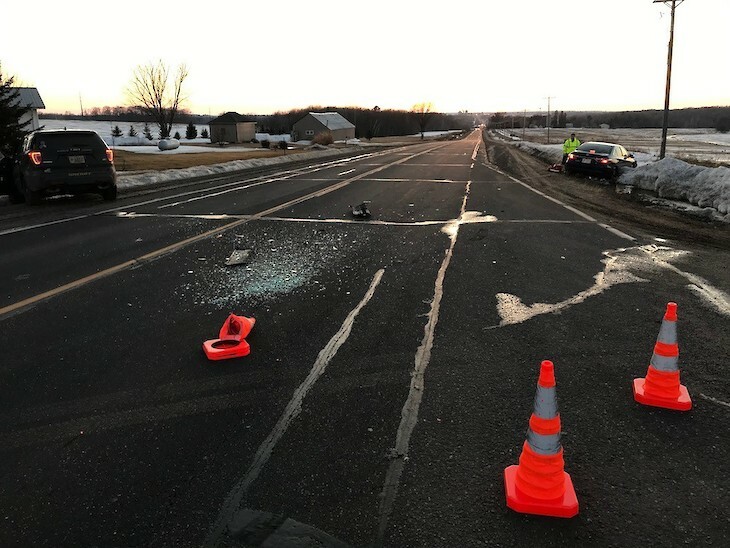 BARRON COUNTY -- The driver of a car involved in a semi vs car crash in Barron County is in serious condition after also having to be extracted from the vehicle, according to a press release from the Barron County Sheriff's Department. 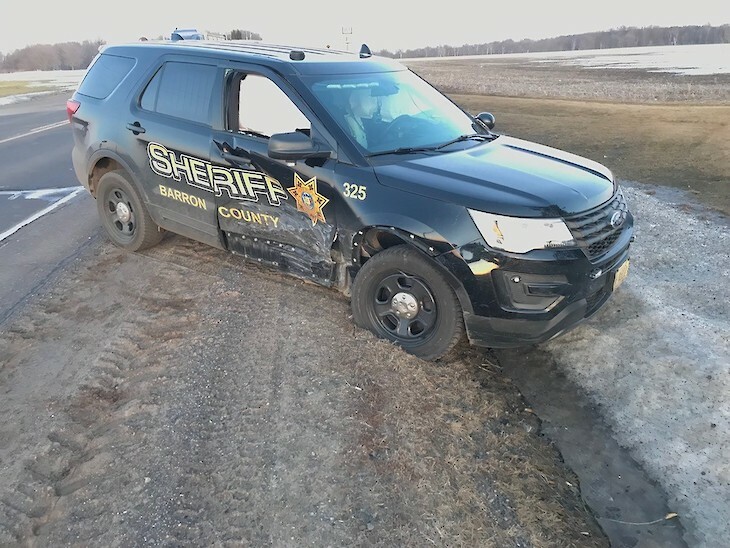 (Press Release) -- On March 21, 2019, at 6:58 p.m., the Barron County Sheriff’s Department received a 911 call of a head-on crash on Hwy 8 between Poskin and Almena. 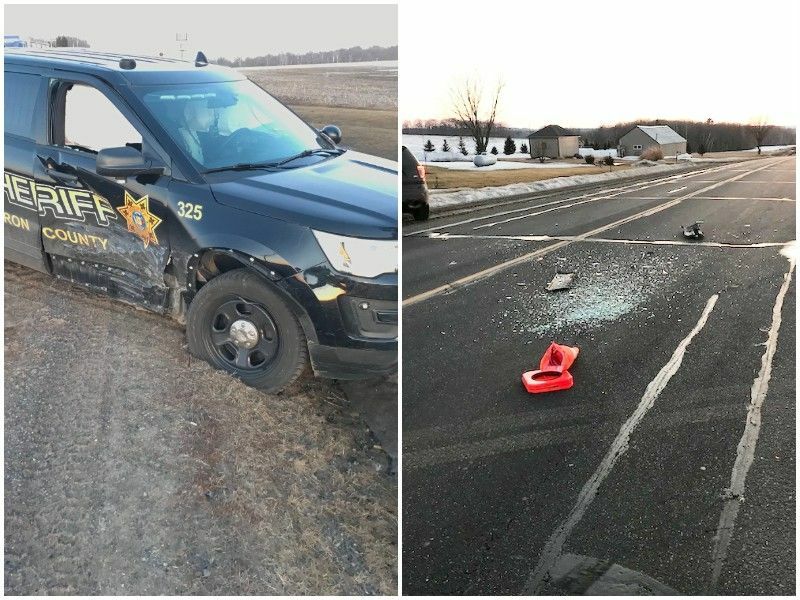 Deputies from the Barron County Sheriff’s Department along with the Cumberland Ambulance, Gold Cross Ambulance, Almena Fire Department and Life Link Helicopter responded to the scene. Initial investigation shows a vehicle pulled from the stop sign on 8th Street onto Hwy 8 into a path of a semi that was travelling east on Hwy 8. The driver of the car was extracted from the vehicle and flown out in serious condition. The driver of the semi was also transported to an area hospital with minor injuries. Names of those involved in the crash are being withheld pending notification of family. While re-routing traffic at the scene of this crash, a vehicle struck a Barron County squad car. This accident was investigated by the Wisconsin State Patrol. The deputy was not in the car at the time of the crash and not injured. The driver of the other car that struck the county squad was transported to Mayo Hospital with minor injuries.